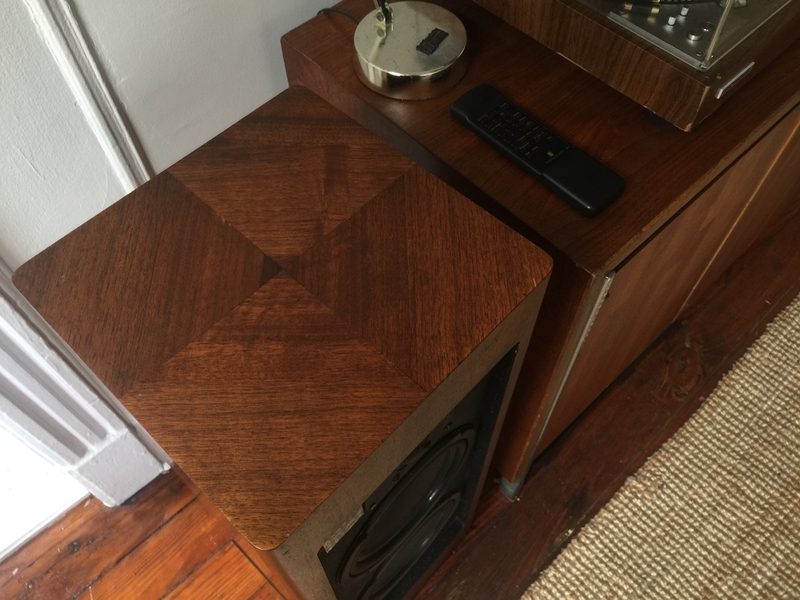 Just got these speakers pair, it's a 3 way the peerless type tweeter grabbed my attention and the built quality is superb, real walnut veneer and swivel pedestal. I never heard about it before. I learned they were built in CA, besides that there isn't much information available online. Sound like a fun project, it was a few scars and is missing a grill. I will decode the crossover diagram but would appreciate any information you may have. 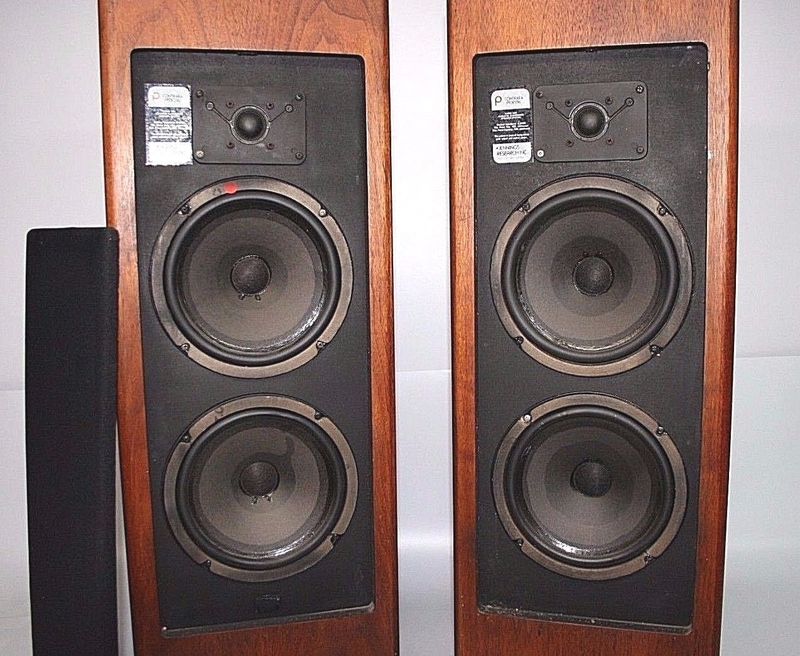 "Each cabinet features (2) Audax French woofers and a peerless dome tweeter, 45 lbs each, 11.5" x 11.5" x 33.5". Made in California USA." 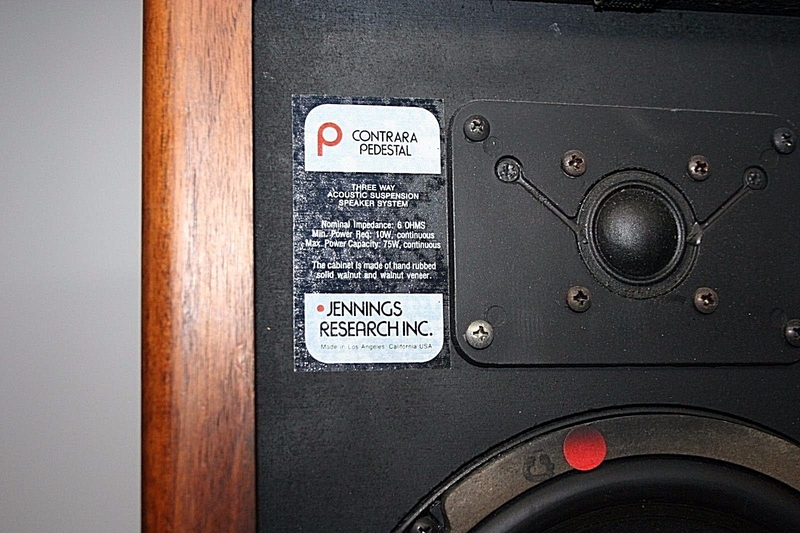 "Jennings Research was founded by Tom Jennings who was the head of marketing/design for JBL in the 1960s. 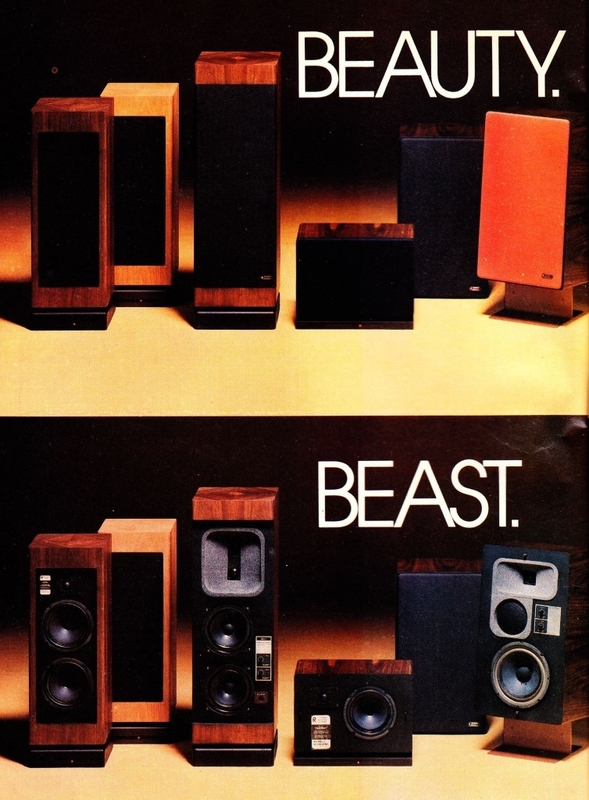 It was founded in March of 1975.
and so how do you like them? that is a lot of tweet. I haven't had the chance to listen. I hope all drivers are good. I am predicting that finding equivalent drivers will be a huge pain in the ****. 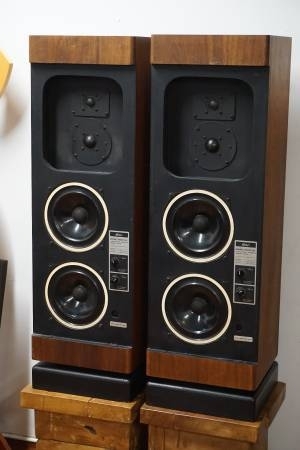 Nice surprise, really like the way these speakers sound hooked up with a Marantz 2270, The construction is outstanding, weighs a ton, about 50lbs each. They fit perfectly in my room and are super forgiving when it comes to placement. 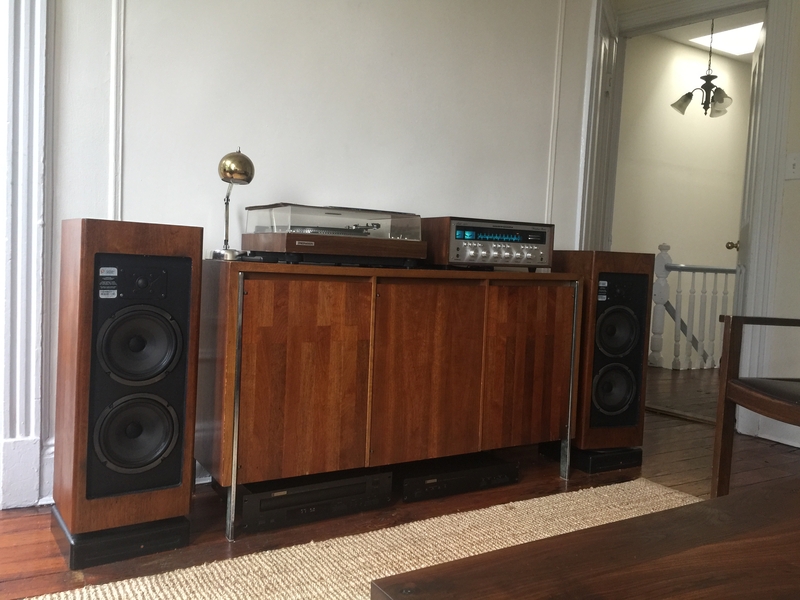 Just moved in and can't get the optimal placement for the CRS (I love). 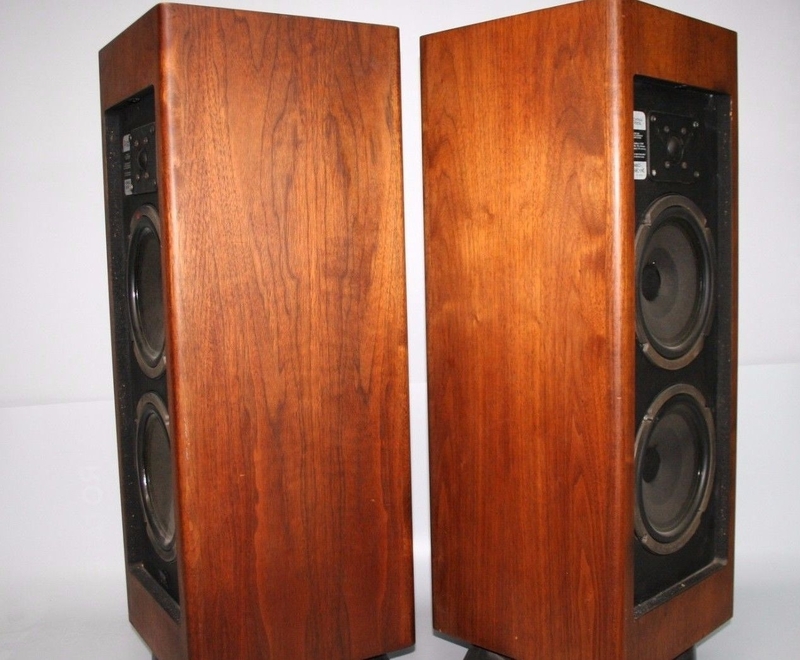 The walnut veneer on the Jennings needs some conditioning, would you be able to recommend the right product? 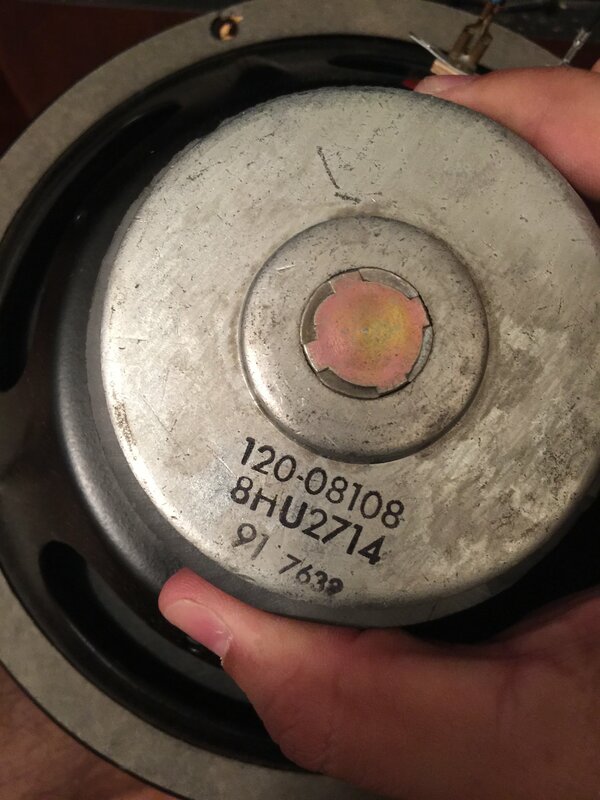 I used Restore a finish with 0000 steel wool and feed n wax on my Advent 25th anniversary speakers. Did wonders in my opinion but im not wood worker. I'm sure I might catch flack for the above by @F1nut but I know he is a wood wizard. Please dont use steel wool. You will never get it all out of the wood before refinishing. Not sure if it matters that I didn't do a refinish or used new Vaneer. Simply used this to rejuvenate old faded walnut. Either way it was a learning experience as the speakers were gifted, I'm still impressed by the difference after using the Howard's products. F-1nut has been playing with wood for so long now that giant sequoias were saplings when he was playing with his first tooth pick. He was Technical Advisor on the construction of Noah's ark. What is the model # of the set on the very right? Looking around I cannot find any images/info. Jessewood was the original name for Hollywood... though Jesse's wood is now highly sought after on the west side of town. "If you drop your wallet in West Hollywood, you better kick it to Beverly Hills before you bend over to pick it up." 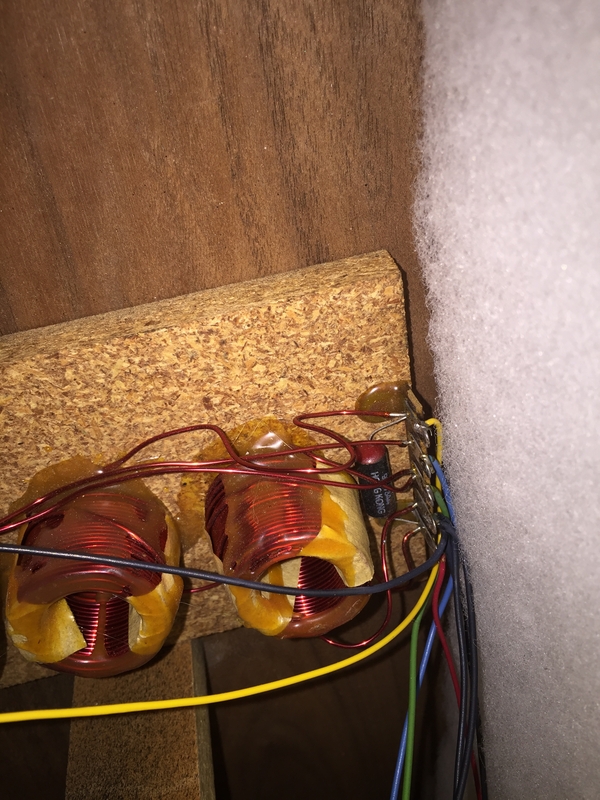 Here is a pic of the crossover, pretty minimalistic 3 inductors and a cap and the woofers numbering... Sound is decent acoustic instruments have pretty good realism. 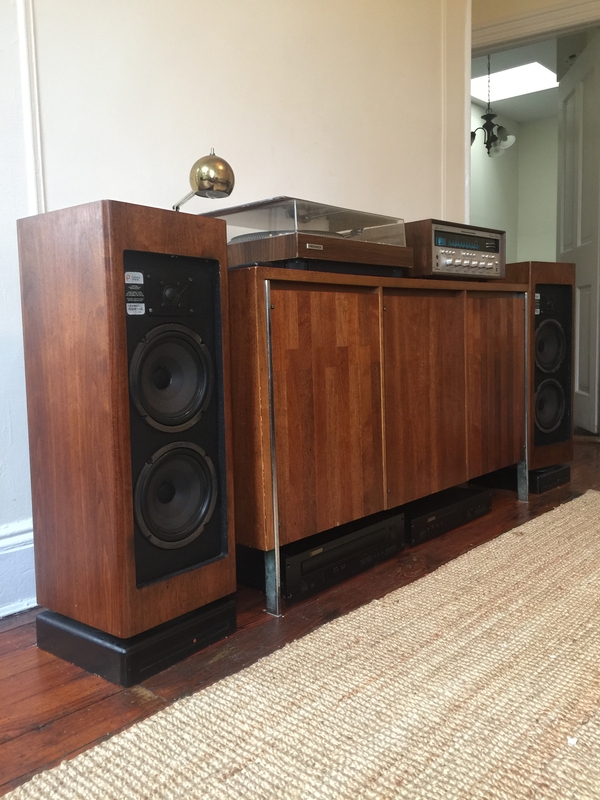 Going back and forth between this and my restored and upgraded CRS, the CRS sound smoother but seem mid scooped in comparison. I'm a fan of having the inductors perpendicular. Matches quite well. Great job. Those really came out nice. Nice job! Can anyone explain the crossover designer?